August. Called by many the last month of the summer. Named after a Roman emperor considered by some historians its greatest. Represented in the Zodiac by the signs of Leo and Virgo. Celebrated in the Apogee annual cycle for its successful conclusions, newfound friendships and confidences, and joyous reunions. 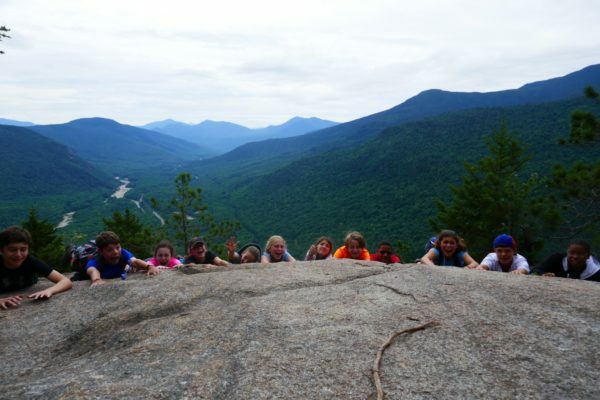 Today marks seven days remaining for our ACC1 trip – august indeed! 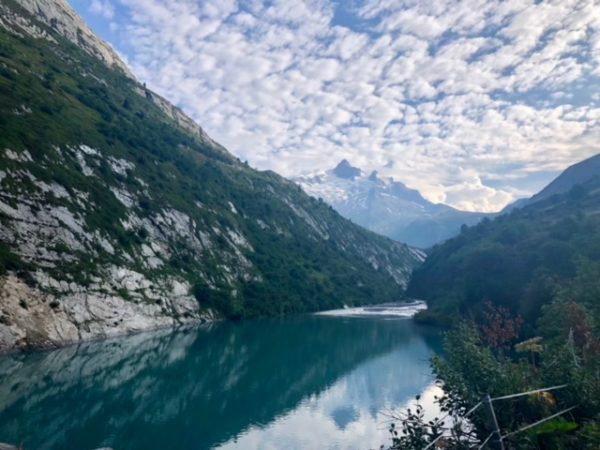 Elsewhere around the world, we hammed it up in Scotland; volunteered in communities in Colorado, Arizona, California, and Puerto Rico; counted sloths in Costa Rica; and crossed country borders in the Alps. 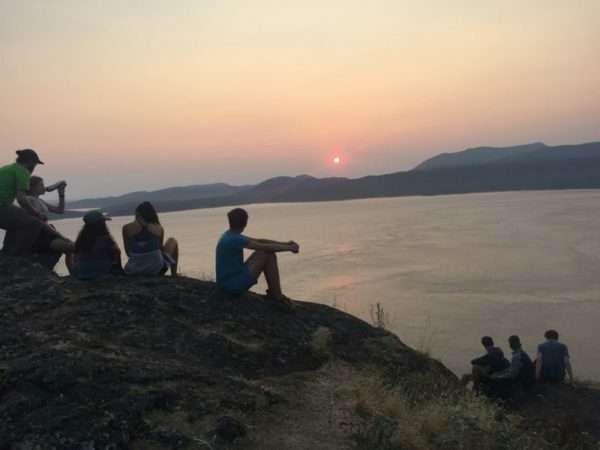 August’s turn may represent the beginning of the end of the Apogee summer, but there’s still plenty to be done, so let’s read on! 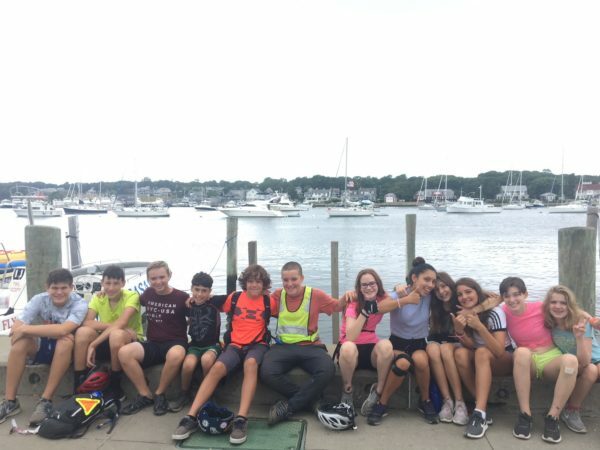 The CI crew spent the day on Nantucket, riding and exploring the town in some balmy 70 degree weather before doing laundry. Who doesn’t like clean clothes?! They spent their evening playing games at their indoor accommodations. 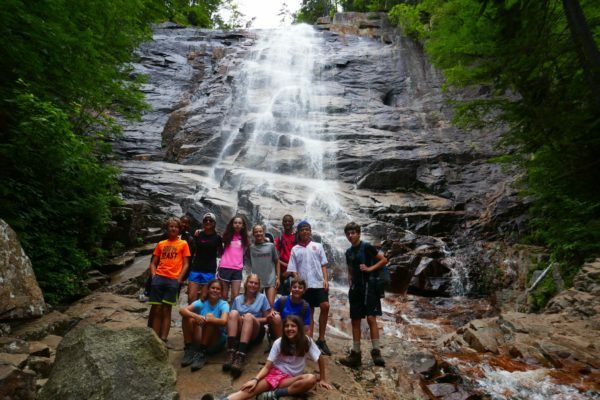 This straight from fearless leader Katherine, “We hiked Frankenstein Cliffs and Arethusa Falls Loop this morning before heading into North Conway for Zeb’s Candy Store where we did Secret Santa (each kid got a wacky piece of candy for their buddy).” NEMC waves goodbye to the Whites tomorrow as they head for the Maine coast. 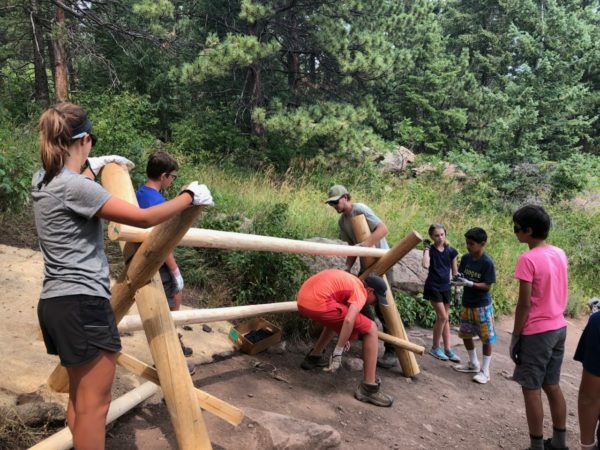 Our two Colorado Rocky Mountains & Coast trips teamed up for their community service day, forming a “Supreme Dream Team” to help out the City of Boulder’ Open Space & Mountain Parks program. 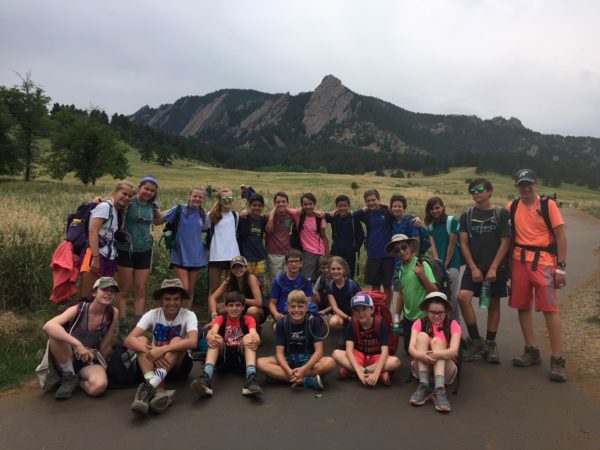 Tonight they rewarded themselves for the hard work, reflected on what they’ve accomplished in the past ten days, and filled their bellies with a scrumptious final dinner in Boulder. Our Caribbean kiddos completed their first day of service in the rainforest of Tanama Valley under the direction of local legend Roberto. 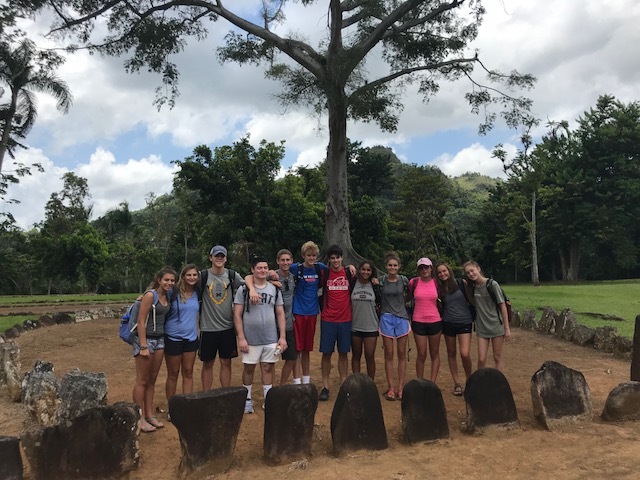 After lending a hand, Nicole and Joe’s crew took a guided tour of Caguana Ceremonial Park and visited a Taino Indian heritage site. 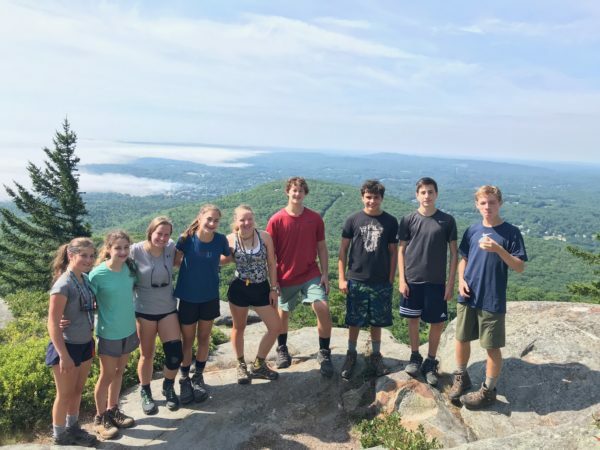 Grace and Garth’s Downeast explorers enjoyed their first full day on trip by taking in some breathtaking morning views in the sunny Camden Hills of Maine. 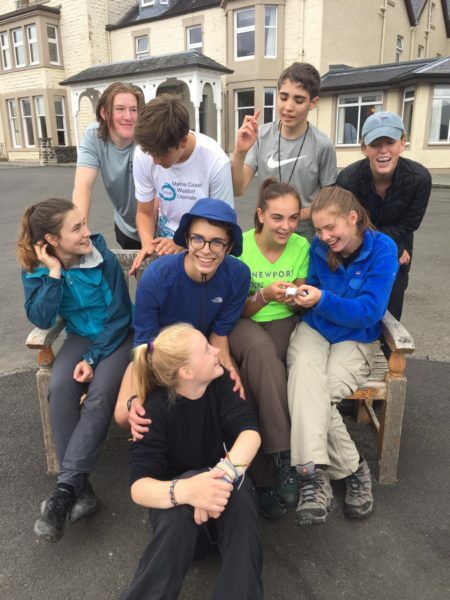 The squad also made all the necessary preparations for island camping in the next few days, before heading to the coast to enjoy the breeze rolling in from the Atlantic. 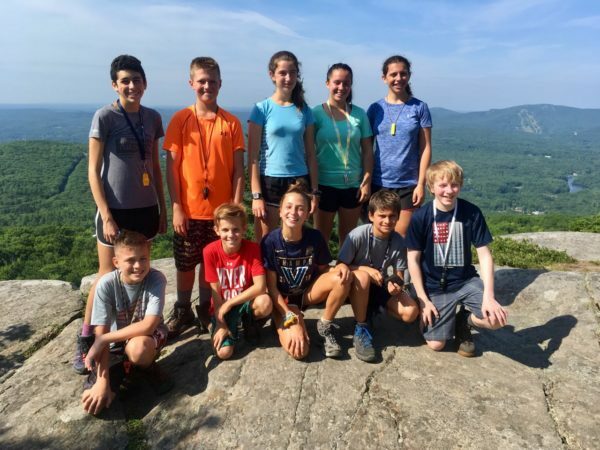 After a morning hike in Camden where they enjoyed a some rolling hills and beautiful weather, Erik and Lucia’s DEXB squad followed their hearts to Acadia National Park. Setting up camp here for the next several days, they’re already looking forward to enjoying the immense and unspeakable beauty of one of Maine’s most prized areas. The Vermont to Montreal A group is enjoying their time working their way north through central Vermont. After taking in the pastoral and rural landscapes this morning, the team stopped for snacks in one of Vermont’s bigger population centers: Middlebury. 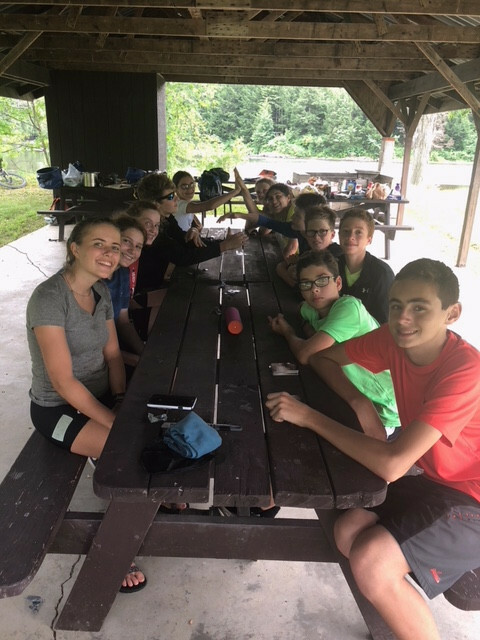 After stopping for snacks they spent the afternoon getting to camp along the lazy and meandering Otter Creek, and gearing up for another big day tomorrow. 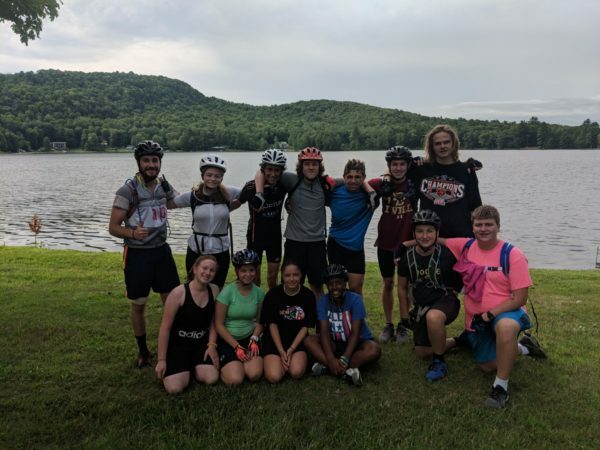 The VMBers crushed the Vermont Hills today and enjoyed a beautiful day of riding on both paved and gravel roads, while passing through one of Vermont’s world famous covered wooden bridges. 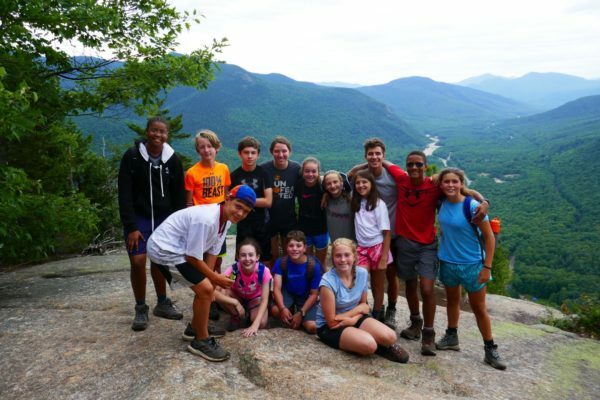 They also conquered ‘The Wall’ a grueling climb up one of Vermont’s, and possibly the entire world’s, steepest and most brutal hills (if we’re to believe VM leader lore…). 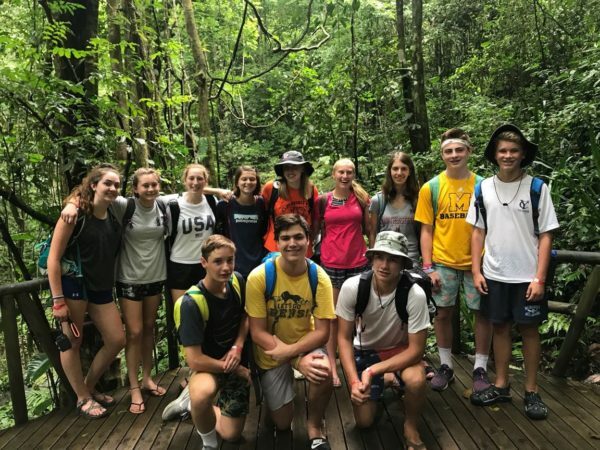 The Costa Rica Mountains and Coast-ers enjoyed their first full day in Central America, where they took a tour of a national park and got to explore the local flora and fauna. 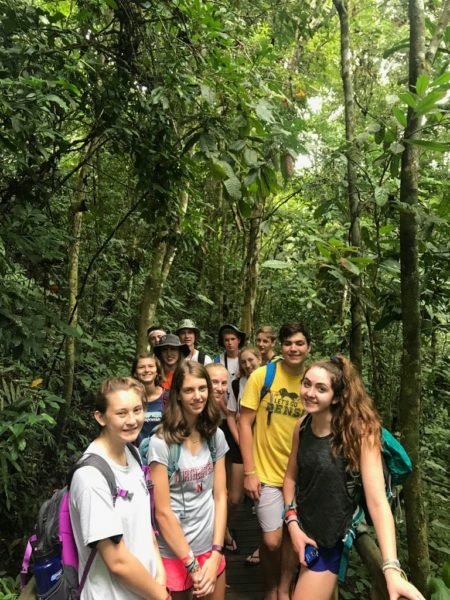 Costa Rica is home to a large number of endemic species so the kiddos got to take in some stunning biodiversity today on their hike! 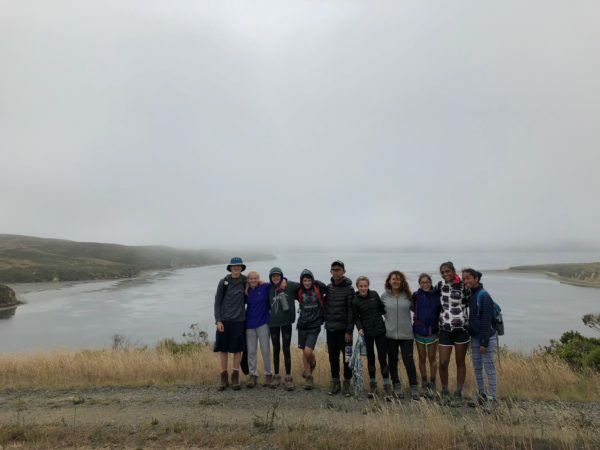 CMCA finished their kayaking trip and headed back to dry land where they shook off their sea legs and laced up their hiking boots. 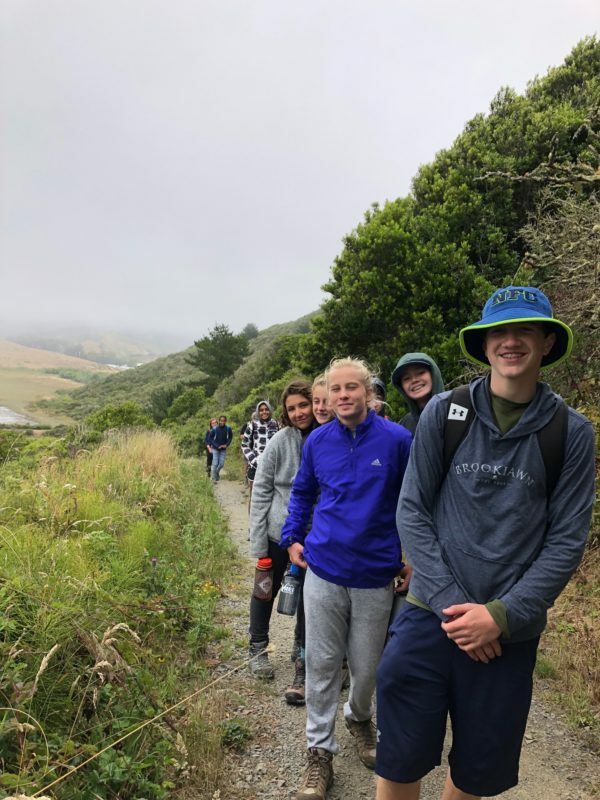 Their afternoon hike took them uphill, where they got a better vantage point to really take in the views of the peaceful Pacific Ocean. 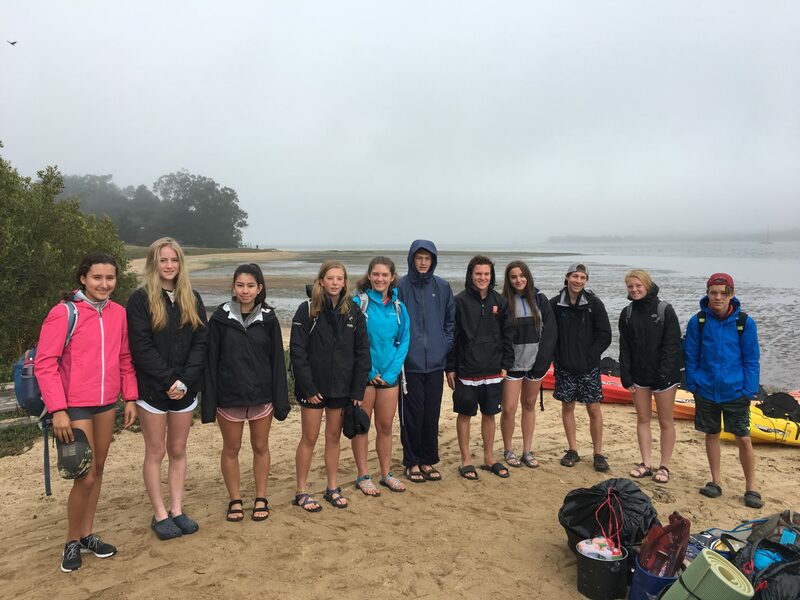 The California Mountains and Coast B squad grabbed their kayaks, spray skirts, paddles, and personal flotation devices and headed out to Tamales Bay. 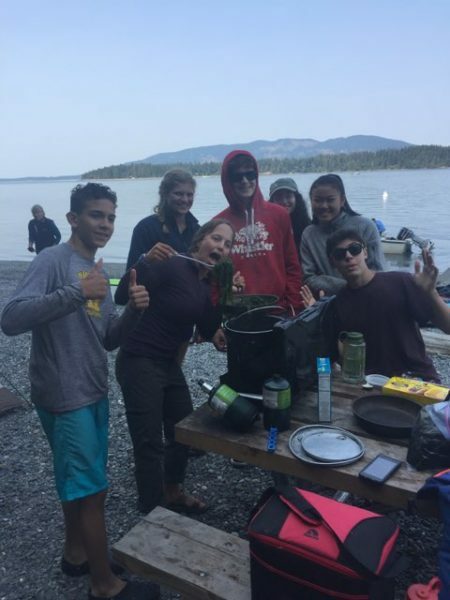 After lunch on the beach and getting to their final destination, they set up camp and may try to check out one of the most beautiful phenomena of the oceans after dark: bioluminescence. 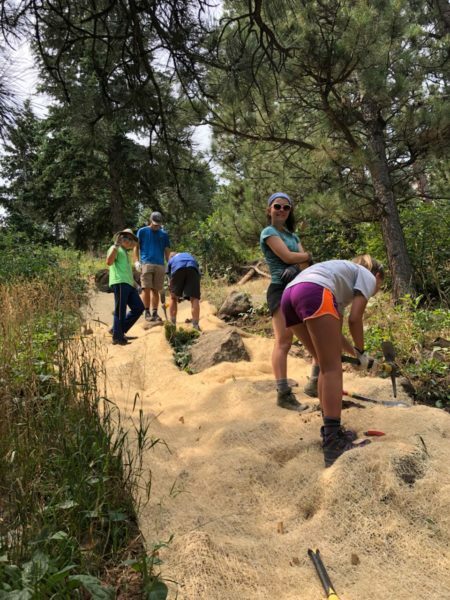 The crew of “Explorers of the Northwest led by Addie and Clark” is continuing on with their backcountry portion. 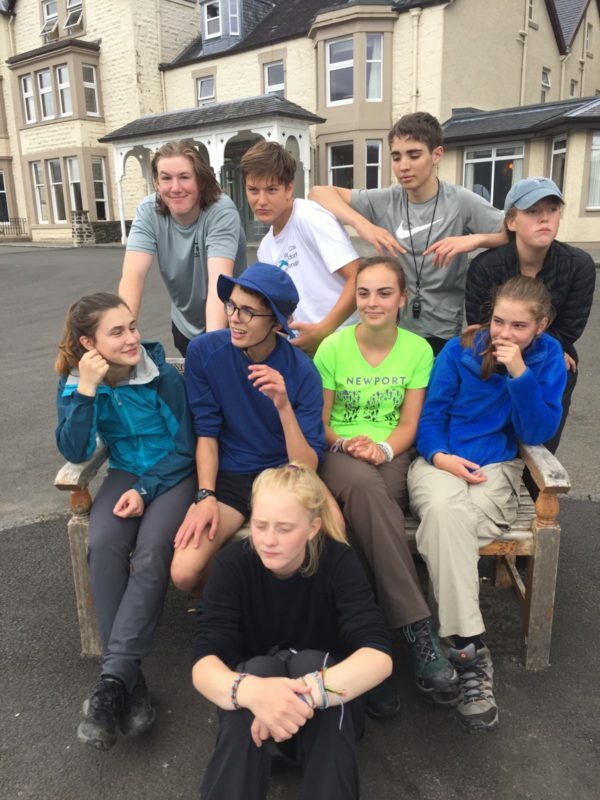 Their hard work fighting gravity to move uphill was rewarded by stunning views of mountains and glaciers in the Cascade Range. What a treat! Pictures to come when they get enough service to send them! 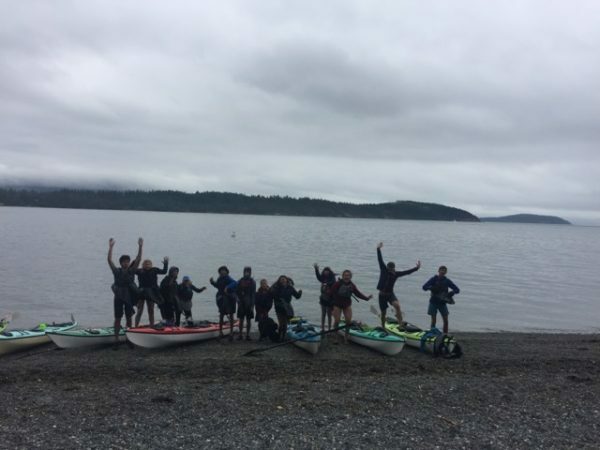 Our NWX B team is got a good core and upper body workout today, paddling off of Cypress Island and back onto dry land. 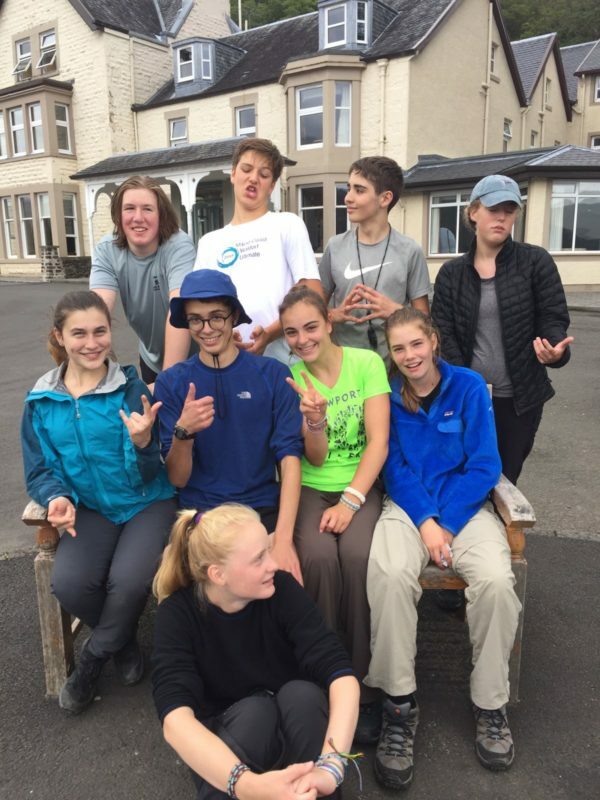 Sea kayaking is always a highlight and we’re sure they’re full of stories and fond memories. 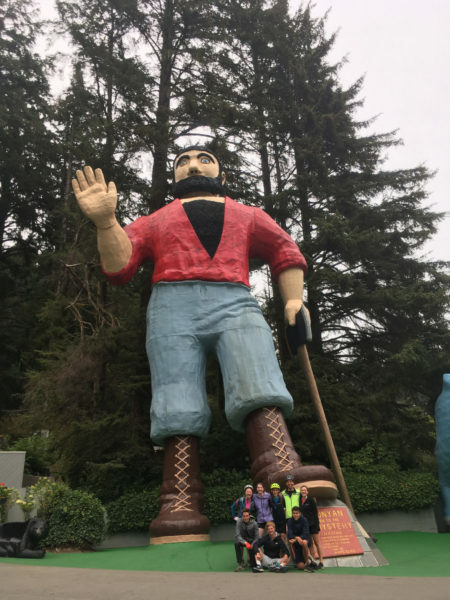 Carter and Jessie’s Pacific Coast A crew enjoyed a well-deserved low-mileage day, and had a blast contributing to the local community by volunteering with an organization called Food for People. We hope they can rest their sore quads and glutes before they hit the road once again tomorrow. Today was a tough day of riding for the Pacific Coast B squad. 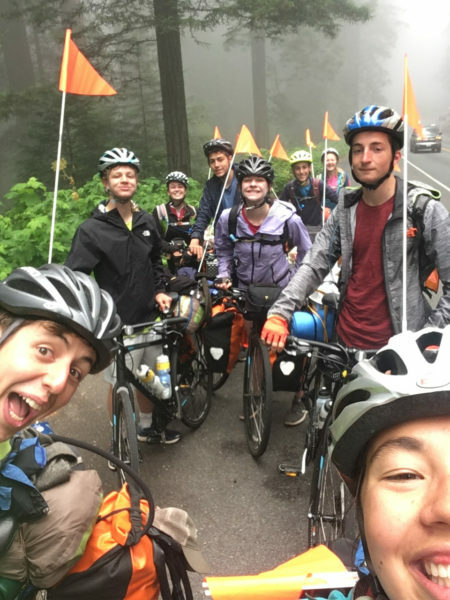 They cataloged a whopping total of 54 miles today on the way to camp, where they can look forward to a well-deserved rest and service day tomorrow. 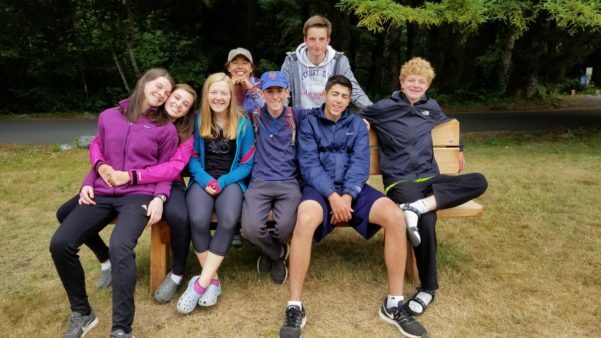 Good job crushing some serious mileage squad. These Scottish Highlands explorers put on their kilts and their bagpipes to hike a monstrous 7 miles along the region’s lochs today. Along the way they fended off flies and all sorts of exotic European bugs to get to the hostel where they’re staying tonight! Isa and Sean sent us three pictures today captioned, “Bein’ cool.” “Bein’ dads.” “Bein’ moms.” Can you tell which photo is which? 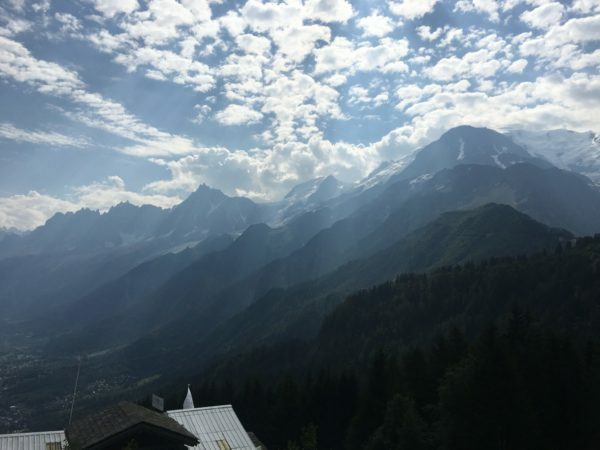 In the words of Jeanne and Jared, “We hiked roughly 10 miles today from Les Houches to Les Contamines. It was a difficult uphill, followed by a long downhill, but lots of singing and game-playing got us through. 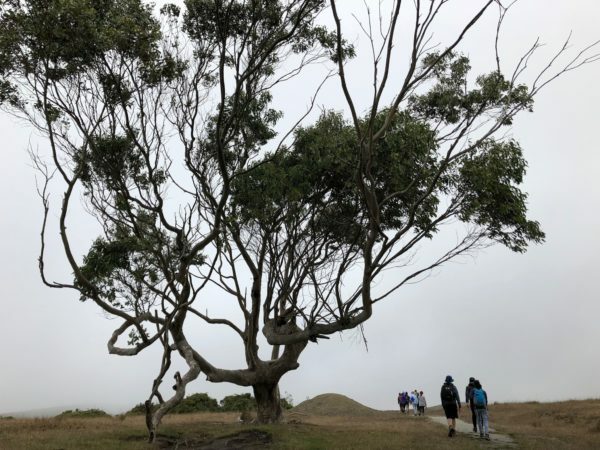 The views were spectacular, and we thoroughly enjoyed the physical and mental challenge. Can’t wait for our toughest day of the TMB tomorrow! The AXB-ers crossed international borders today when moving from France (adieu!) to Italy (benvenuti!) 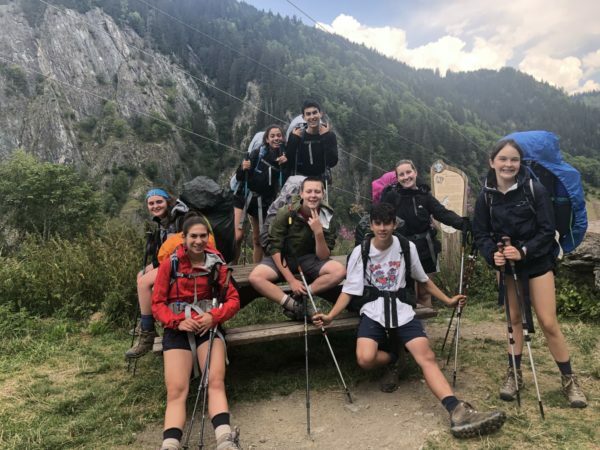 on their way to tonight’s rifugio. 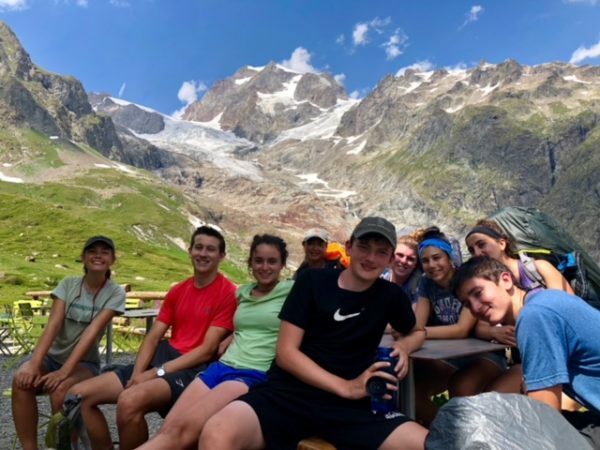 Sam and Zach’s team enjoyed the twin pleasures of not setting up tents tonight and being served an authentic northern Italian 4 course meal in one of the most scenic places imaginable! 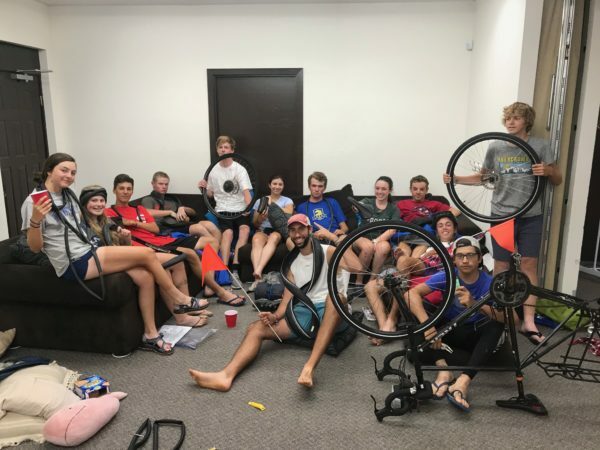 Tim and Emily’s America Coast to Coasters got to rest their quads, glutes, calves, and knees in Phoenix, Arizona today. 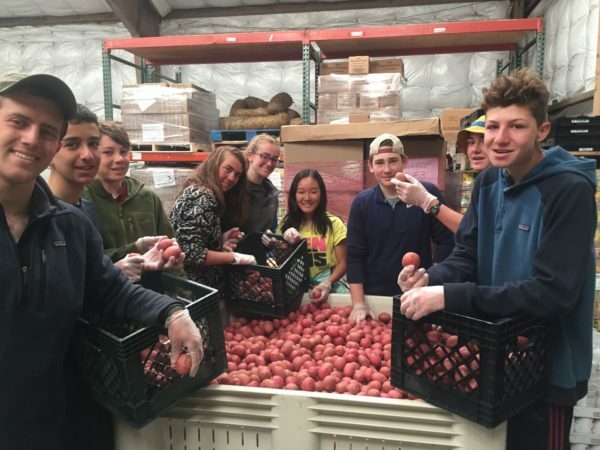 While enjoying their time off the bikes, these killer kiddos gave back to the local community by volunteering at an organization called Feed My Starving Children, where they spent time boxing food. Thanks for everything you do team! 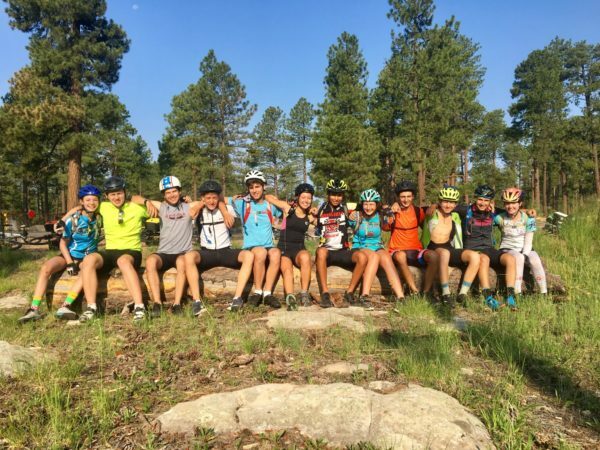 Despite what you may have read on yesterday’s blog, ACC2 finds themselves in Payson, Arizona tonight after a beautiful 54 mile ride today. Our apologies for yesterday’s inaccuracy (we’ve since updated that post). Payson is affectionately known as “The Heart of Arizona” for it’s location nearly exactly in the geographic center of Arizona.